Fox Host Warns Trump That Future "Liberal" Presidents Could Use Emergency Declarations For Climate Change - Joe.My.God. 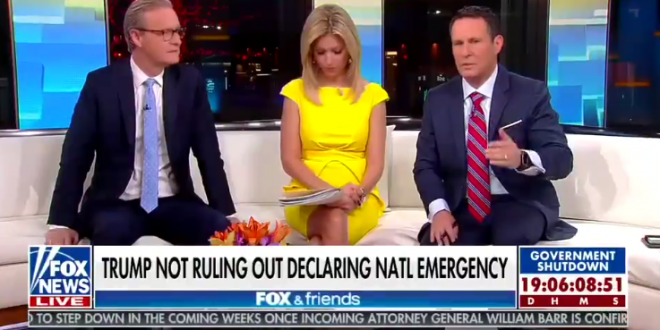 “Fox and Friends” co-host Brian Kilmeade told viewers on Thursday that “big picture” the use of an emergency declaration to get President Trump’s border wall funding would be a “disaster” and set a “terrible precedent” for the future. “It would just be a disaster in the big picture and just show us being inept at govern around the world,” he said.